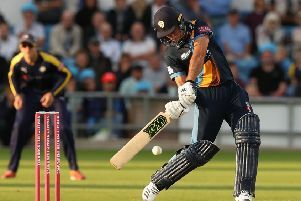 Derbyshire’s Vitality Blast fixture between Yorkshire Vikings and Derbyshire Falcons at Emerald Headingley has been rescheduled for Monday 30 July (6.30pm start). Following England’s progression to the semi-final of the FIFA World Cup, Yorkshire County Cricket Club believe that it is in the best interests of the spectators to reschedule the fixture. The decision has taken into consideration travel advice for the Headingley area on Wednesday night. Ticket holders are advised to keep hold of their tickets as these will be valid for use at the rescheduled fixture.